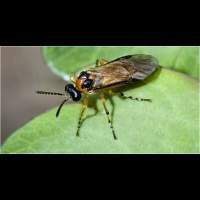 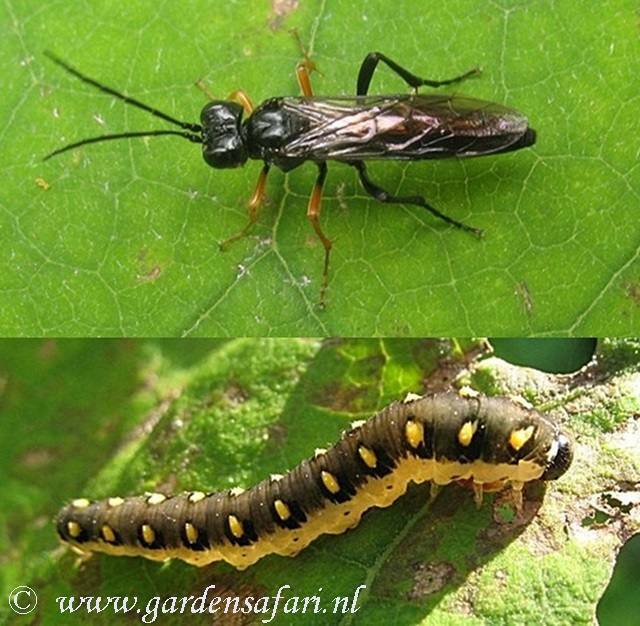 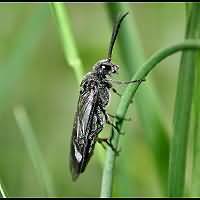 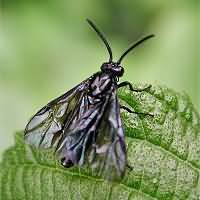 There are about 530 species of sawfly in Holland alone. 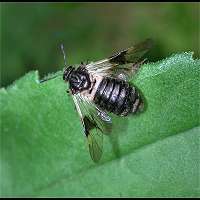 Most species are very small. 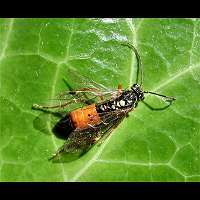 Some of the larger species immitate wasps. 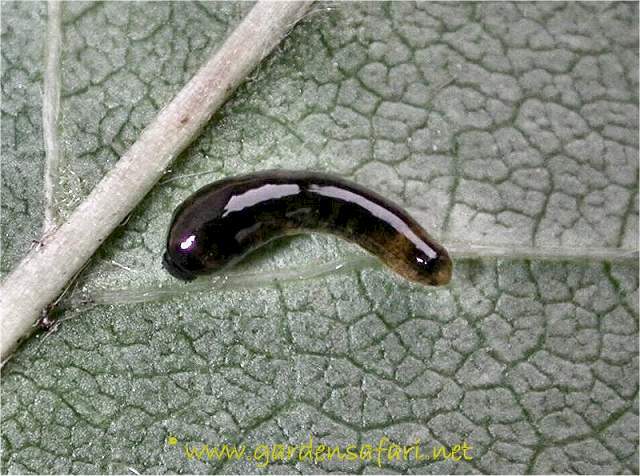 Their larvae usually look like caterpillars, but some look like little slugs. 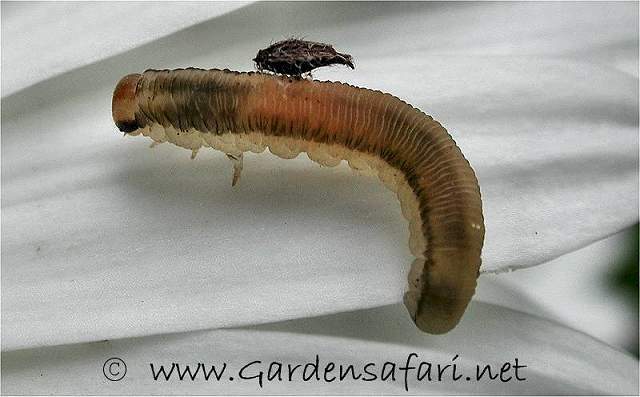 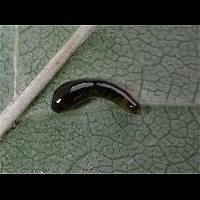 You can tell them apart by looking at the feet: slugs don't have feet, caterpillars have five pairs of feet at the second part of the body tops, while the larvae of sawflies have at least six pairs. 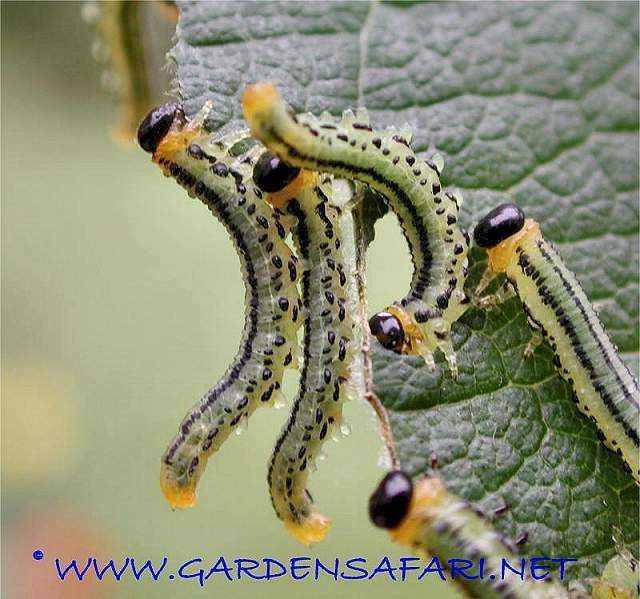 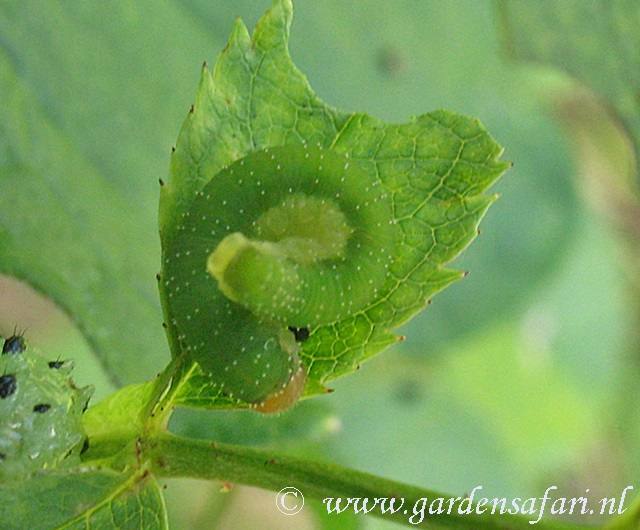 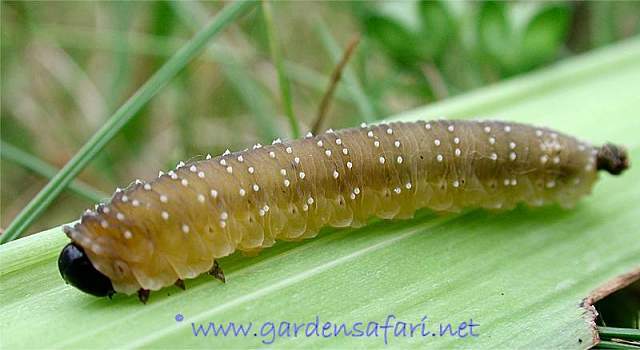 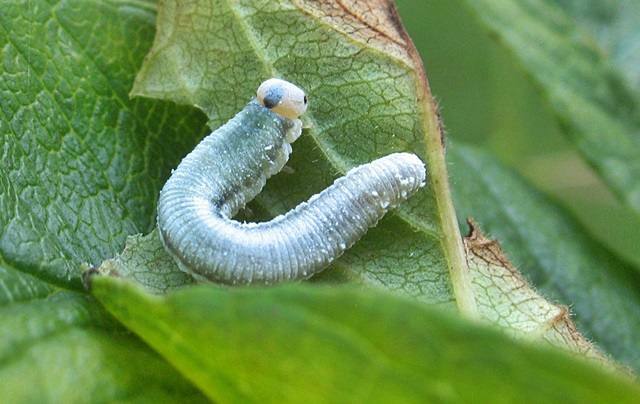 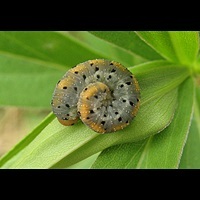 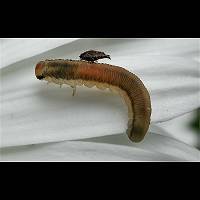 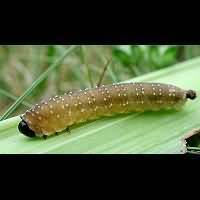 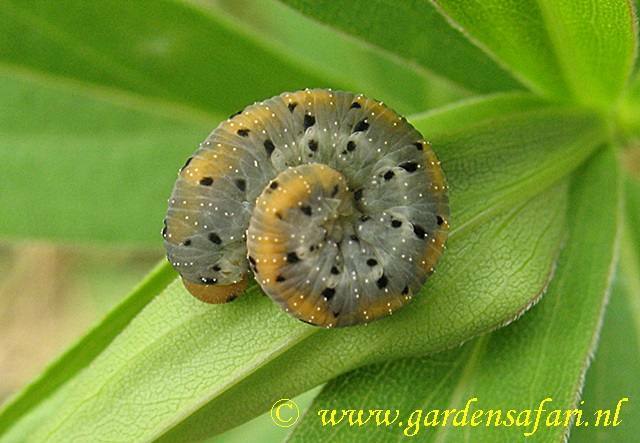 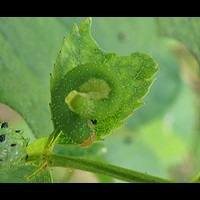 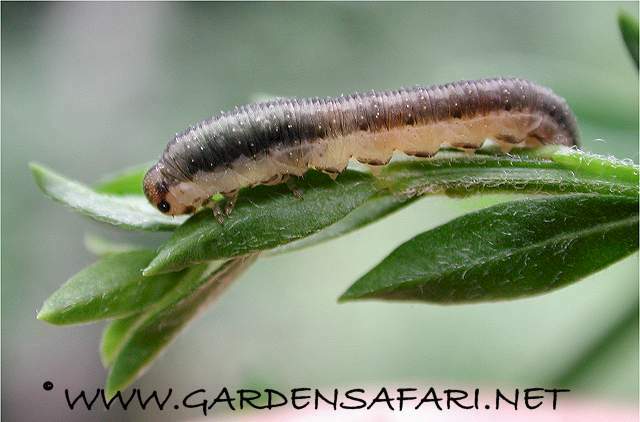 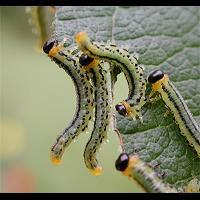 The larvae sometimes become a plague, especially in pines, cherries, pears or roses (rose slugs). 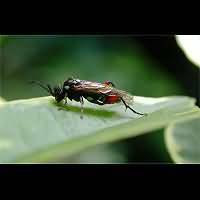 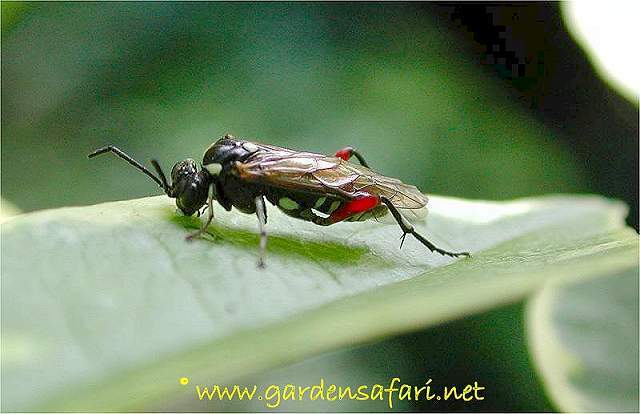 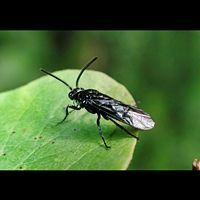 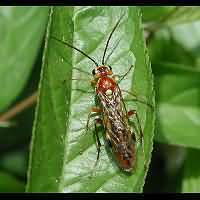 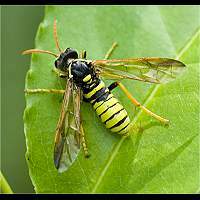 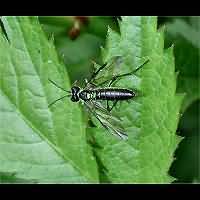 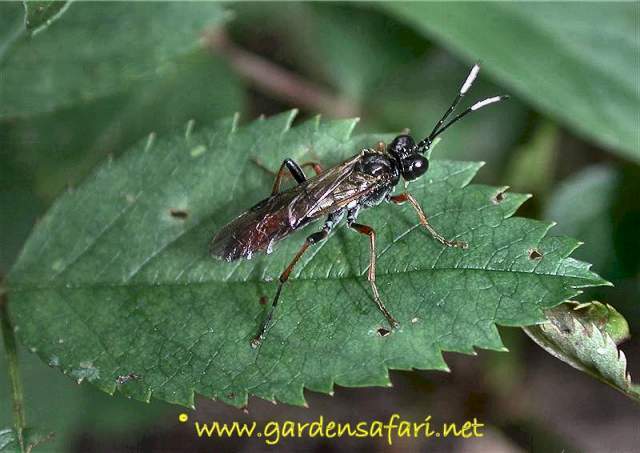 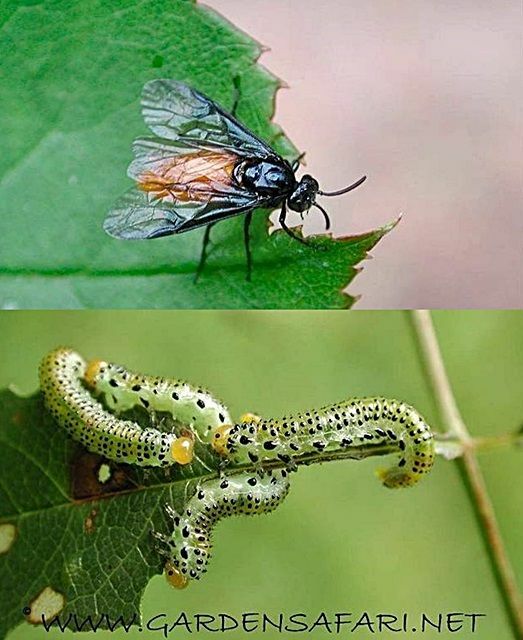 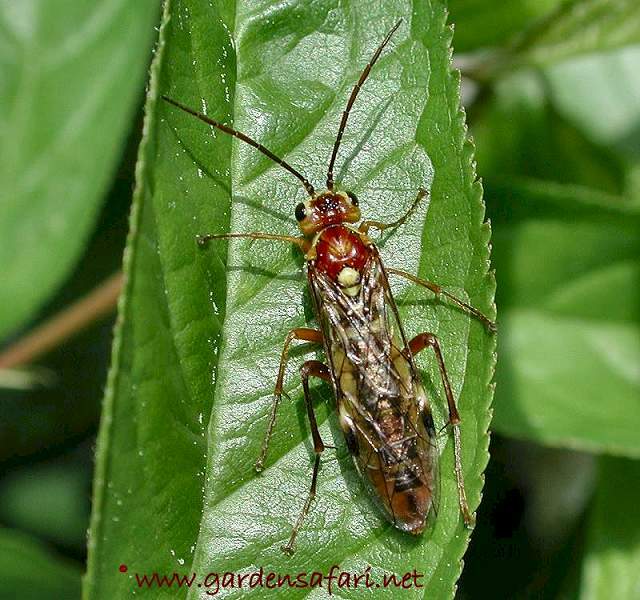 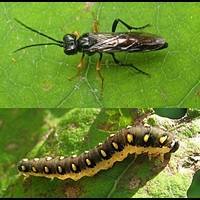 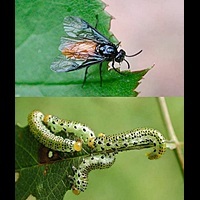 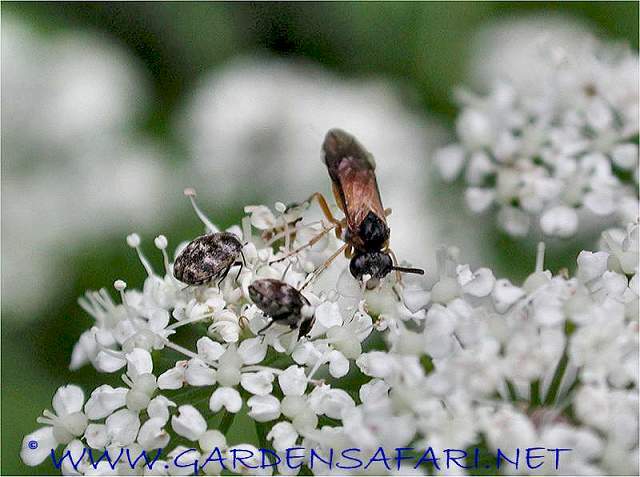 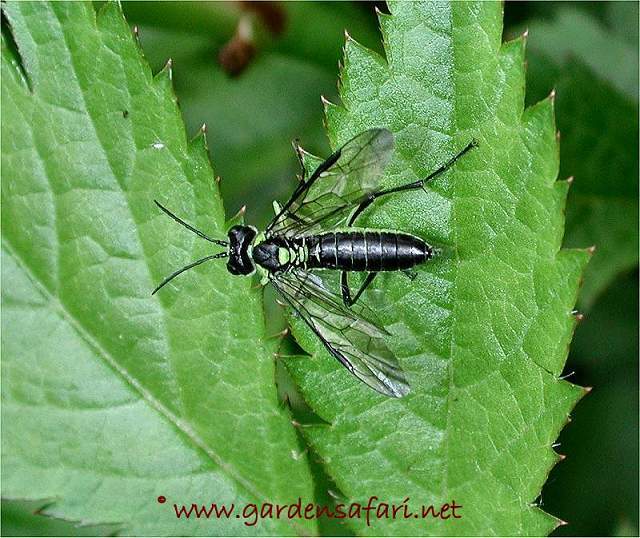 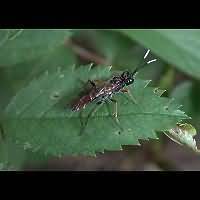 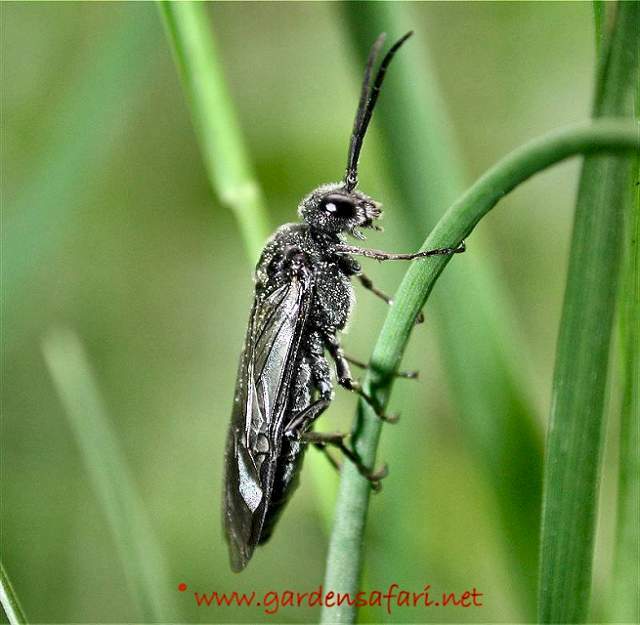 Sawflies are related to wasps and not to flies. 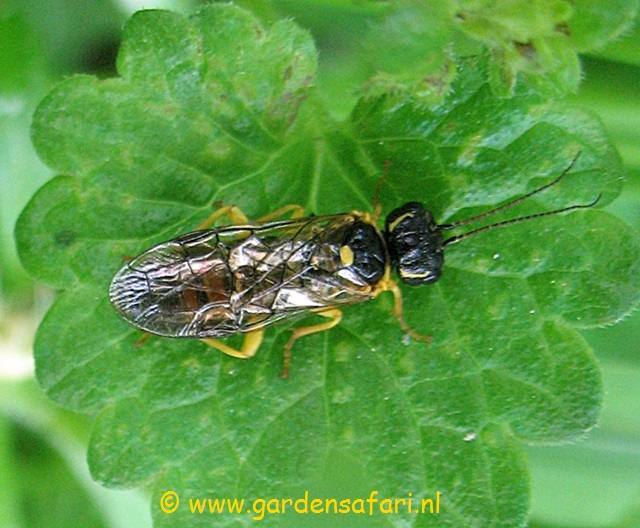 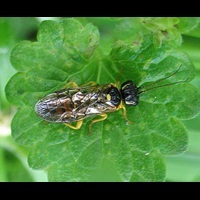 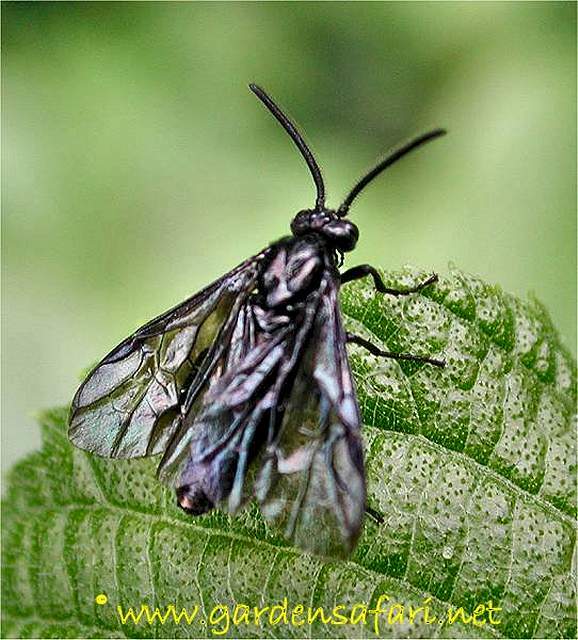 You can tell so by looking at the number of wings (Sawflies have 4 wings, flies only 2) and also the head is identical. 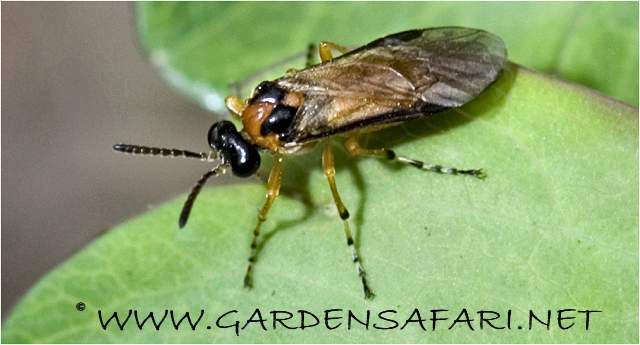 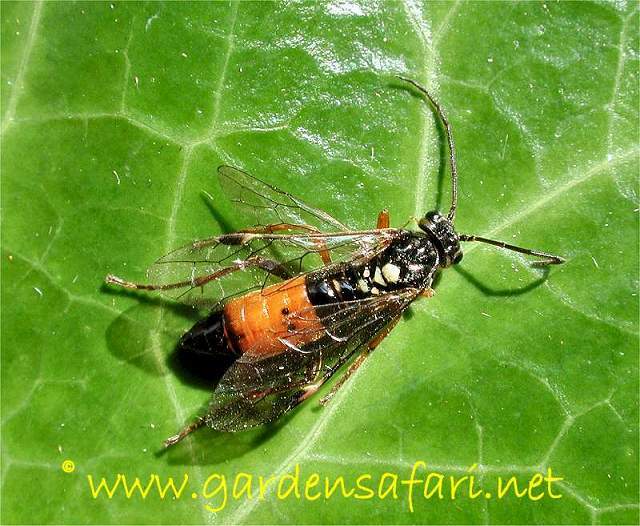 Sawflies however are very primitive wasps and they lack the typical wasp waiste. 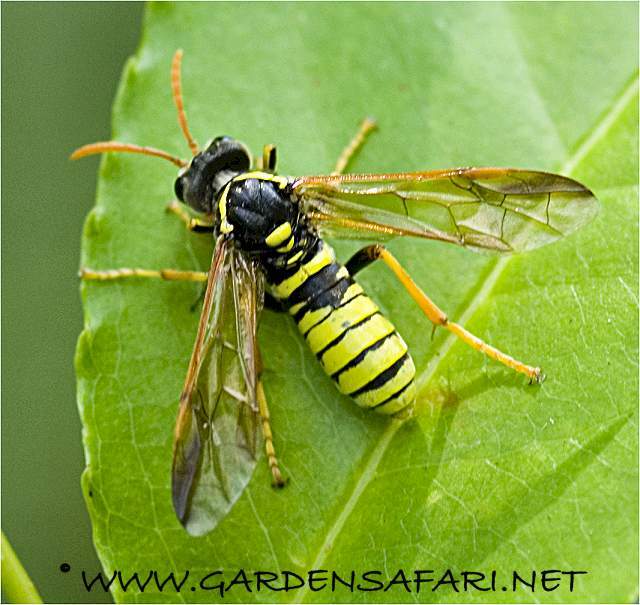 Many species, even a great number of the bigger ones, are very hard to identify. 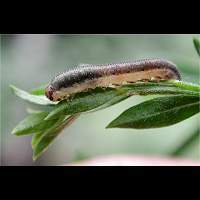 This page has last been modified on Tuesday, December 11, 2018.